“Now with these new openings on both coasts, C2 is able to reach even more families and students in two of our biggest markets,” said C2 Education CEO Peter Waller. 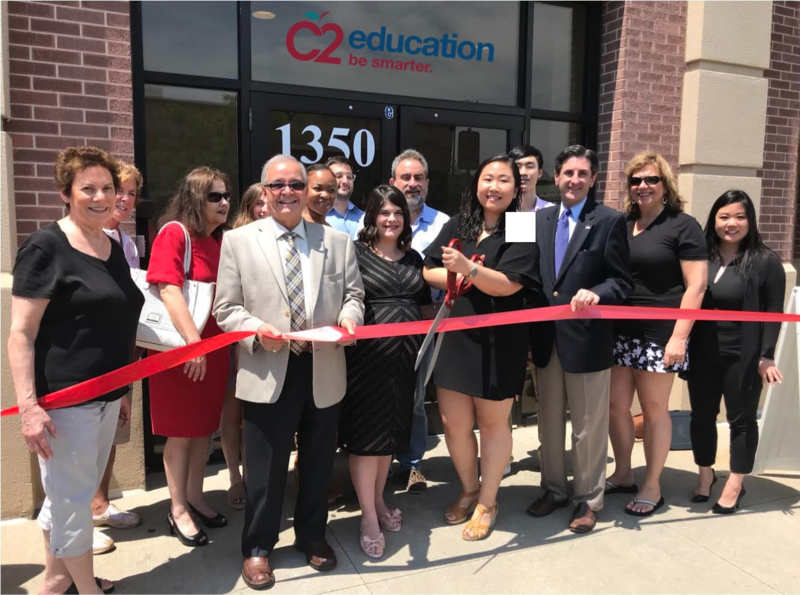 C2 Education (C2) the nation’s premier network of subject tutoring, SAT®, ACT® and PSAT® test prep and education support centers recently held grand opening ribbon cutting ceremonies in Manhasset, NY and Campbell, CA to help usher in C2’s newest locations. C2 Education now has seventeen locations in New York and twenty two locations in the Bay Area that are part of more than 180 centers throughout the country. With the opening of these two locations, these centers will bring more than 30 full and part time jobs to their local communities. “Now with these new openings on both coasts, C2 is able to reach even more families and students in two of our biggest markets,” said C2 Education CEO Peter Waller. Nationally, C2 has a proven track record of helping students gain acceptance into the country’s top colleges, according to the latest U.S News & World Report’s Best College Rankings. To date in 2018, C2 students have reported admission to 4,000 colleges with over $25 million in scholarship offers. This includes 2,200 acceptances to Top 100 National Universities with over $13 million in scholarship offers. In addition to the center’s educational impact on the region, the company also shows its commitment to the community with the C2 Community and School Giveback Program. The program provides a variety of events and offerings such as free homework help, workshops, complimentary college planning services via the College Roadmap program, free SAT and ACT practice tests, as well as local scholarship opportunities and community celebrations. C2 Education (http://www.C2education.com) was founded in 1997 by David Kim and Jim Narangajavana, two Harvard students offering private tutoring programs from their dorm room. Now one of the nation’s leading Tutoring, Test Prep, and College Admissions Counseling organizations, the company has grown to over 180 centers nationwide serving 12,000 students and their families each week. C2 utilizes a unique approach that combines individualized instruction, customized proprietary curriculum and dedicated education experts to create a personalized experience that enables students to master their specific tests and subjects. C2 Education is headquartered in Johns Creek, Georgia. Follow the company on Facebook at http://www.facebook/c2educate and Twitter at twitter.com/C2education.